Sculpture Size: 1 X 4 X 3.5 in. Awesome textured green patina on this mid-size frog. "Twister" is the same scale as the lovely "Cupid", so they would make great friends. 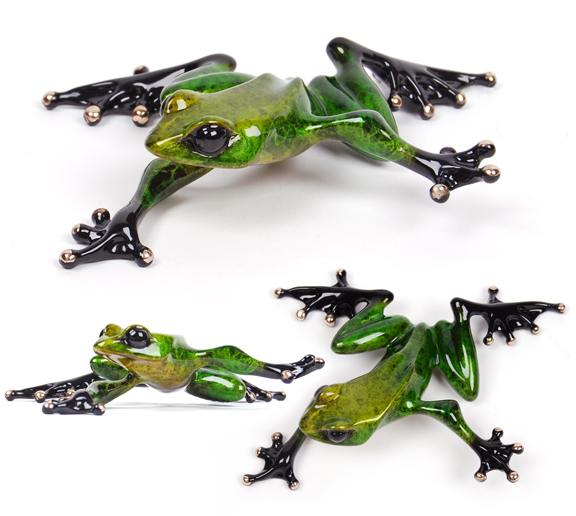 Beautiful, affordable and fun--everything we look for in a frog!